Victory Film Productions is an independent film production company with the resources to bring a screenplay to life. The purpose of production companies is to assist filmmakers who don't have the resources or capabilities to make their film a reality. 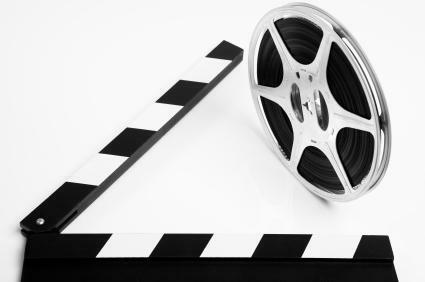 Production companies come on board at various stages in the construction and are responsible for the development and/or physical production of a film. This often involves raising funds and finding investors. Film production companies take great ideas and make them happen. There are thousands of production companies in the world, and many of them are small ones that focus on producing independent films. The independent film producers can do one of two things with a completed production: send it out on a limited release basis to areas like New York and Los Angeles or obtain further financial support to release the movies to a larger area. One such company is Victory Film Productions. Victory is an independent production company based in the United States. Founded in 1999, its purpose is to develop and produce authentic, character-driven films high in quality and commercial appeal. They focus on full-length feature films with the potential for worldwide distribution and commercial success. The headquarters of Victory Film are located in Missouri with divisions in Hollywood, California and Europe. The European division is located in Sofia City, the capital of the Republic of Bulgaria. The Victory team is, however, capable of working anywhere in the United States and abroad, and they offer production assistance nationally and internationally. Victory is a company that prides itself on being able to assist clients with projects in any stage of development. From script breakdown to budgeting, to casting and shot lists, they can come in at any point during the production process and provide assistance in all manners of film production. They also provide post-production services (including editing, CG visual effects, scoring, and trailer pre-conceptualization) and equipment rental. With impressive technical resources, a qualified and dedicated crew, and creative talent with years of experience, they are able to bring just about any project to life, giving it a real chance for commercial success. Production companies will often acquire more screenplays than their financial holdings are capable of producing. As this is the case with Victory, they currently offer three different levels of investment opportunities for qualified candidates. The first is the opportunity for investors to become partners with Victory and acquire up to 50 percent of the company. The second allows investors to become the exclusive producer of an available film, and the third allows one to be a co-producer along with another interested party. These types of investment opportunities are common with small production companies and can be mutually beneficial and potentially lucrative. Victory is involved in several projects spanning a number of genres. Upcoming films include action/thrillers, action/adventure for teens, and action/adventure comedies. Past works include the film adaptation of the award-winning play Where the Lilies Grow, that was renamed Fire Lily. Written by Dr. Kenneth Stilson, Fire Lily received top honors at the 2009 American Artist Film Festival (AAFF) taking home the awards for Best Actress, Best Cinematography, and Best Feature Film. Several companies in the film industry go by the name of Victory. They include but are not limited to Seattle-based Victory Studios, New York State-based Victory Film Productions Inc, and UK-based Victory Motion Pictures. All have different specialties and areas of focus. The Missouri-based Victory Film is a company dedicated to the production of quality independent films. No matter what the needs of the film and filmmaker, this company has the ability to fulfill them.